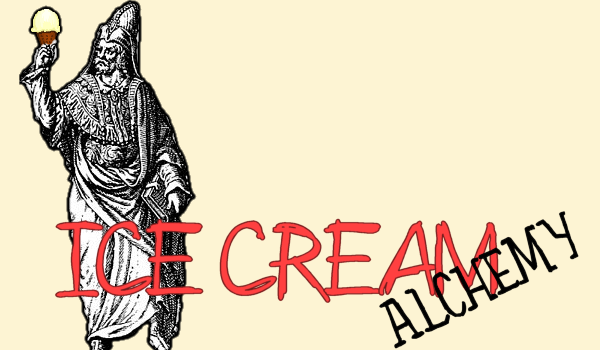 Note: Myself nor this blog are at all affiliated with the business Ice Cream Alchemy of Boulder, Colorado. I chose the name in Spring of 2009 because when I searched the title on Google there were no visible businesses of the same name, and no records in the Better Business Bureau (there still are not any businesses in the BBB with this name). This blog is not a business, simply a casual collection of rants devoted to the passion and science of ice cream.